Flippin’ Fun Video Games (“us”, “we”, or “our”) operates the https://www.ffvdgames.com website. 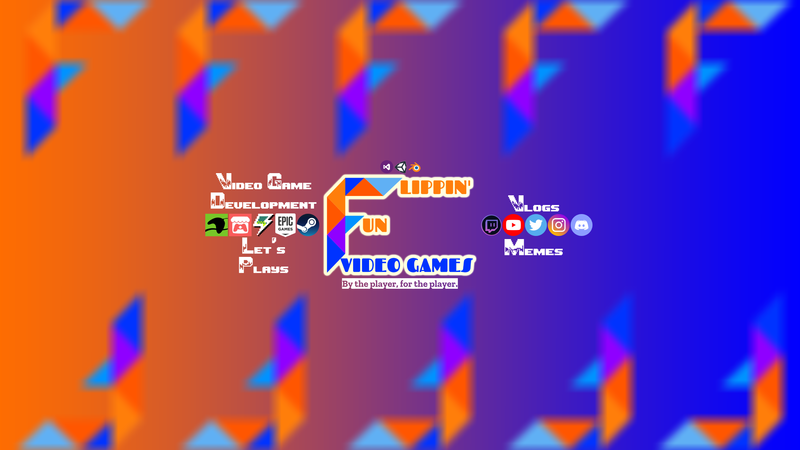 Flippin’ Fun Video Games is an independent video game development studio owned and operated by Michael Shaw. When we say we are “By the player, for the player,” we mean it. We do not mess around when it comes to protecting your data and rights as a consumer of our products and a visitor to our website. We don’t collect any of your data unless it is absolutely necessary (e.g. activity via site analytics, information sent through contact forms, and information provided for user accounts and comments) and remove it from our systems as soon as we no longer need it (e.g. a user deletes their account, a contact form’s purpose is resolved, or deleting a spam/highly inappropriate comment). When visitors leave comments on the site we collect the data shown in the comments form, and also the visitor’s Internet Protocol address (IP address) and browser user agent string to help spam detection. If you submit a contact form, we retain the submitted email address, name, and original form in order to respond to the email address with the name and information provided until there is no need for them anymore (e.g. feedback on a product that is no longer relevant). If you submit a support ticket, the original ticket is kept until the ticket has been resolved and closed. After a ticket has been closed, we remove the attached email address and last name from the ticket to document why a change has been made in our changelogs. MonsterInsights for Google Analytics: MonsterInsights for Google Analytics is a web analytics service offered by MonsterInsights that tracks and reports website traffic via Google Analytics and is sent to Google Analytics. MonsterInsights and Google Analytics uses the data collected to track and monitor the use of our website. This data is shared with other Google and WordPress services. MonsterInsights may use the collected data to contextualize and personalize the ads of its own advertising network. For more information on the privacy practices of MonsterInsights, please visit the MonsterInsights [smth] web page: [link]. Jetpack: Jetpack is a web analytics and anti-spam service offered by WordPress that tracks and reports website traffic and user activity. WordPress uses the data collected to track and monitor the use of our website. This data is shared with other WordPress services. Jetpack may use the collected data to contextualize and personalize the ads of its own advertising network. For more information on the privacy practices of Jetpack, please visit the Jetpack Privacy Center web page: https://jetpack.com/support/privacy/. Your personal data is shared with automatic spam detection services, website administrators, contact form services, and analytic services. Namely, WPForms, Akismet, MonsterInsights, Google Analytics, BuddyPress, and Jetpack. All data, excluding analytic data, is backed up via UdraftPlus. UpdraftPlus: UpdraftPlus is a website backup plugin offered by Simba Hosting LTD that creates a backup of WordPress websites. Simba Hosting LTD uses that data collected to convert our website to a compressed file and upload it to another third party service. This data is shared with other WordPress services. For more information on the privacy practices of UpdraftPlus, please visit the UpdraftPlus Data Protection and Privacy Centre web page: https://updraftplus.com/data-protection-and-privacy-centre/. Visitor comments and login attempts are monitored through WordPress and Akismet. Analytic data is sent through Jetpack, MonsterInsights, and Google Analytics. Website events, such as registration confirmation and profile activity, and email addresses used are sent to website administrators through BuddyPress. All data sent through contact forms is sent exclusively to WPForms and website administrators. We store a complete backup of our website and its data via UdraftPlus to Google Drive, which is then downloaded to a private, local server, then copied to a private GitLab repository located on the server. The backups happen daily, with a maximum of five backups stored. The TinkerBoard S server is owned and operated by Flippin’ Fun Video Games. The server is located in the United States. The security of your data is important to us, but remember that no method of transmission over the Internet, or method of electronic storage is 100% secure. While we strive to use commercially acceptable means to protect your personal data, we cannot guarantee its absolute security. If you leave a comment without registering an account on our website, we retain the original comment and the name and email address provided in order to create a comment, and the comment’s metadata indefinitely. This is so we can recognize and approve any follow-up comments automatically instead of holding them in a moderation queue. For users that register on our website (if any), we also store the personal information they provide in their user profile, which is minimally their email address and name. All users can see, edit, or delete their personal information at any time (except they cannot change their username). Website administrators can also see and edit that information. We store a complete backup of our website and its data via UdraftPlus to Google Drive and an encrypted GitLab server created, owned, and controlled by Flippin’ Fun Video Games every day. The server is located in the United States. The security of your data is important to us, but remember that no method of transmission over the Internet, or method of electronic storage is 100% secure. While we strive to use commercially acceptable means to protect your personal data, we cannot guarantee its absolute security. This website has an SSL certificate, so all data is encrypted. The most sensitive data that will be stored through our website is your user profile location, any names you used to create a profile or submit a contact form, and any email addresses and IP addresses you used to create a profile, post a comment, or submit a contact form. If you provide any other personal data (e.g. posting your phone number in a comment), there is no guarantee that data will be protected. If for some reason your user profile is hacked, we will notify you of all suspicious activities via email and encourage you to update your password to both your user profile and any accounts associated with your user profile. If need be, we will remove the functionality of user profiles while we diagnose and fix the problem. If our contact form service is compromised, we will instantly delete all the contact forms we have and any and all data associated with them. We will then diagnose and fix the issue. If our website is hacked, we will take down the current website revert to a previous version of our website while we diagnose and correct the problem. If any of our website plugins are compromised in any way, we will instantly take down the current website and find an alternative, safer plugin to use on our website. If WordPress is hacked, we will instantly take down the current website and wait for WordPress to fix the issue before republishing our website. If the problem is serious enough, we will find an alternative to WordPress. If our hosting service, DreamHost, is hacked, we will follow the same procedure we have in place for WordPress, as stated above. We receive data from Akismet, an anti-spam plugin; MonsterInsights, a plugin that sends analytics to Google Analytics; Jetpack, a plugin that tracks analytics; BuddyPress, a plugin that tracks user activity and allows for the use of unique user accounts; UdraftPlus, a plugin that periodically backs up our website to a remote server; and WPForms, a plugin that allows for the use of contact forms on our website. For spam prevention purposes, we blacklist certain email addresses that are known to submit spam comments and contact forms from publishing comments and submitting contact forms. We do not knowingly collect personally identifiable information from anyone under the age of 18. If you are a parent or guardian and you are aware that your child or children has provided us with personal, please contact us. If we become aware that we have collected personal data from children without verification of parental consent, we take steps to remove that information from our servers. This website is GDRP compliant.